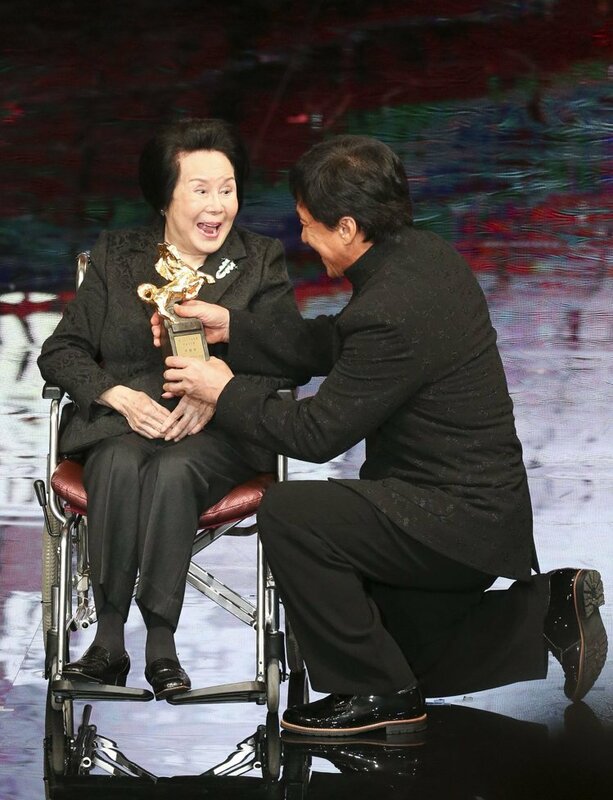 On the evening of November 21, 2015, Jackie Chan attended the 52nd Annual Golden Horse Awards in Taiwan to present the Lifetime Achievement award to a great legend in the entertainment industry, 92-year old super star Ms. Teresa Lee Li Hua. Nicknamed “Xiao Mi” (little kitten), Lee Li Hua entered the entertainment industry at the tender age of 16, spanning over 40 years in film and featured in over 120 movies. 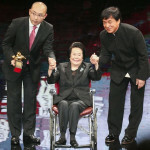 Two time Golden Horse Award recipient, Jackie Chan, especially flew to Taipei to present the award to his “God-Mother”. Jackie Chan collaborated with Lee Li Hua at the young age of 9, acting as Lee’s son in the film Qin Xiang Lian.